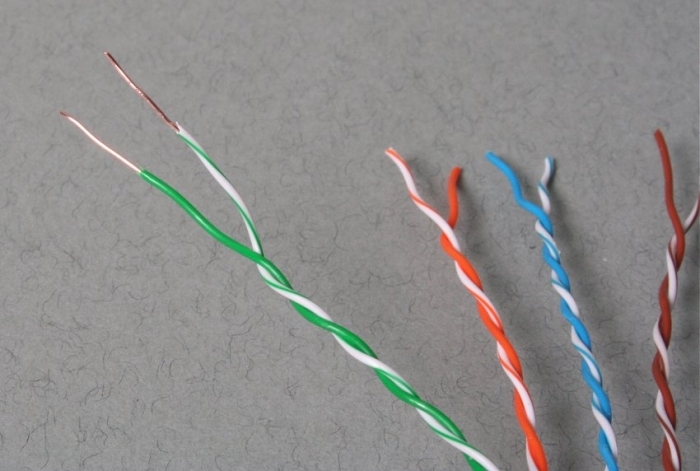 A high quality solid copper core outdoor grade cat5e cable consisting of 4 twisted pairs. 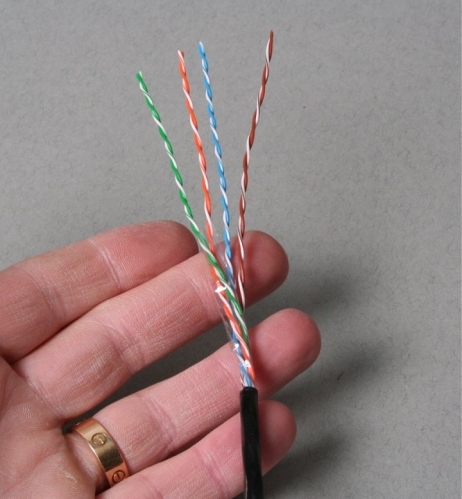 Superior in conductivity and resilience to the inferior CCA (Copper clad aluminium) cat5 cable often sold. A strong nylon ripcord helps when removing the outer cover and a transparent plastic inner sheath provides additional protection. 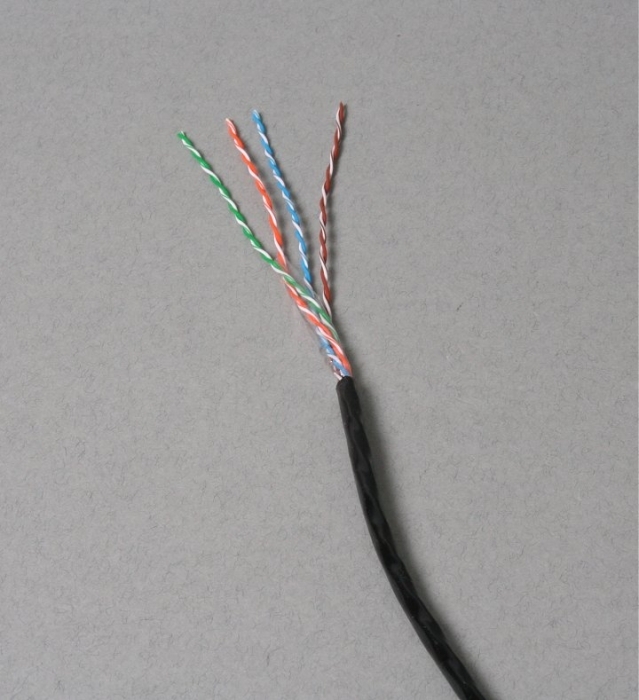 Colour coding of the 8 individual wires (arranged in 4 twisted pairs) makes installation and identification simple. Although rated for outdoor use the cable can of course be used inside as well. We supply outdoor rated cat5e cable because of it's resilience to weather damage when used outside or in potentially harsh environments such as loft spaces, garages or outbuildings. 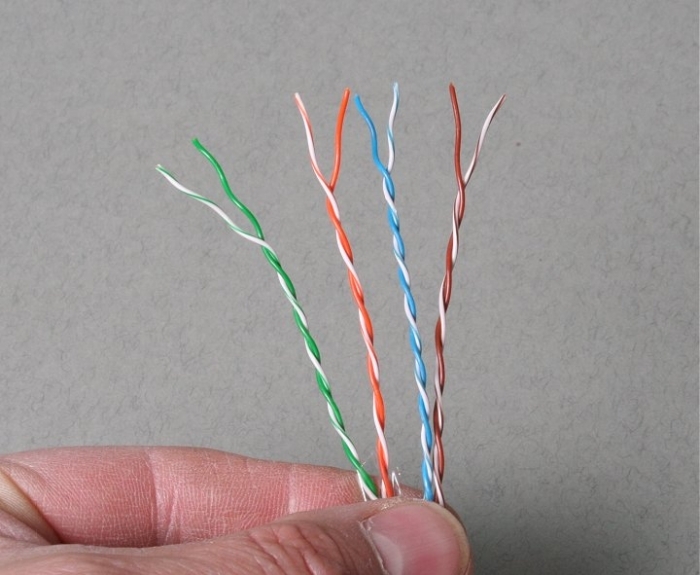 It is also stronger than many other cat5 cables when it comes to drawing through cable runs. Price is per 100 metre length. Also available per metre as well as a 305m boxed roll.